Linburg Pass Engineering, Systems And Safety Audit With Flying Colours! August saw Linburg’s Sheffield Operation undergo the most rigorous audit of its staff training, vehicle maintenance, operations and safety systems it has ever encountered in the company’s history. Industry-renowned and highly respected specialist Compliance Auditors, Lloyd Morgan, went through the entire operation with a “fine-tooth comb”, scrutinising staff training, drivers’ hours of work, rostering, vehicle engineering plus record-keeping and system. In fact they put Linburg “through the ringer” in every aspect of their operation. As part of the one-year agreement, Linburg have signed up to be Derby’s official Roadrider provider for the upcoming campaign. 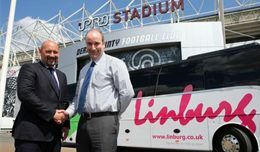 They will also sponsor Derby’s ‘team line-up’ on matchdays, as well as advertising their company to customers through the internal and external digital screens at the iPro Stadium. Their brand will also be featured on Roadrider tickets and also in the matchday programme, The Ram. 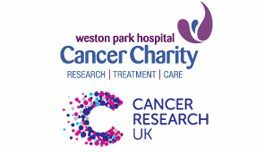 Sunday 12 July 2015 will see Linburg Coach Travel lend a little support to Weston Park Hospital in Sheffield and it’s “Run in the Park” for the third consecutive year. 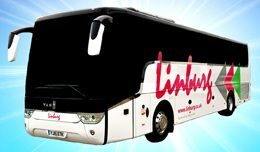 The fourth VDL-powered Van Hool coach to join the Linburg coach hire fleet in recent months is this TX15 Alicron. Destined to carry passengers of Linburg’s Private Hire & Travel-Trade customers, in common with it’s sister vehicles it features air-cushioned suspension, 49 comfortable Van Hool reclining seats, double-glazing, multi-screen DVD, full climate-control including Sutrak air-conditioning, hot and cold drinks facilities and on-board washroom. 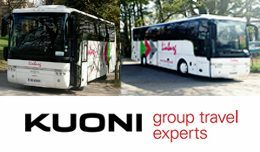 Asiya Khanom of Linburg’s Coach Hire Department commented “Before committing to the Van Hool product, the Company did consider cheaper alternatives, but I’m pleased to say that they opted for the highest quality product once again. This maintains our standardisation on VDL/Van Hool coaches. I’m so pleased as I know that both our passengers and our drivers deserve the very best environment in which to travel. Business is understandably brisk, but we still have availability for coach hire this year, so I look forward to hearing from customers, both old and new, so that I can assist them with their travel arrangements”. With a fleet of coaches and buses operating across Britain and Europe from various depots, Linburg’s unfailing drive for excellence in its vehicle maintenance and engineering functions has led it to invest in the “Truckfile” Fleet Management IT System, a web-based system that keeps drivers, Operations and Engineering Departments updated in real-time about vehicle maintenance status. Maintenance Systems, planning and records are visible on-line to all key personnel, with drivers and technicians able to update vehicle status from any location, no matter how remote and no matter what hour of the day or night, so long as there is wifi available. “I have worked with various Systems but this one is incredible” was the judgement of Linburg Fleet Engineer, Mark Paulson. “The time invested in set-up and the cost of hardware is significant, but I have no doubt that our drivers and most of all, our passengers are very definitely worth it. There is no better way of planning and controlling the Vehicle Maintenance” Mark added. After two years of successful collaboration with World-renowned travel-professionals, Kuoni GTA, Linburg were delighted to accept an invitation to renew and expand their commitment. Doubling the number of coaches that are allocated to the prestigious UK touring services for the next two years has meant further acquisitions of VDL-powered Van Hool coaches from UK Agents, Arriva Bus & Coach. Visitors to the UK from the Far East, predominantly China, can look forward to enjoying the scenery of the British Isles whilst relaxing in the air-conditioned comfort of the Linburg Van Hool coaches. 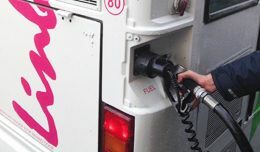 Continuing infrastructure investment by Linburg Coach Travel has recently seen the installation of the Merridale Fuelworks web-based fuel management system across its entire fleet and depots. The system utilises Merridale Auditor units and vLink vehicle monitoring to enable the Linburg Management Team to keep a close eye on the real-time fuel consumption of all of its buses, coaches and support vehicles from office-based PC’s or even their smart-phones. “This technology enables us to identify fuel consumption issues very quickly” said Director John Hadaway. Bus & coach travel is already one of the greenest and most efficient methods of travel, but with monitoring of this level of accuracy, those “green” credentials are maximised. “Our previous monitoring system was always at least a month out-of-date and relied on many hours of tedious work with pen-and-paper. With our increasing fleet size, this was becoming untenable” continued John. “Now we can see information for the entire fleet from any internet web-browser. It even tells us when we need to re-order fuel supplies. We spend hundreds of thousands of pounds on diesel each year, so having absolute control in this way has made the substantial investment even more worthwhile”. 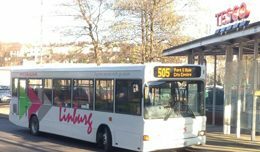 Shoppers and commuters in Sheffield are now benefiting from Linburg Buses operating the 505 Park & Ride Services and free Shoppers Buses serving the Tesco store at Abbeydale, Sheffield. The Park & Ride Services give commuters the opportunity to leave their cars at the Tesco store and travel in and out of Sheffield City Centre without any parking worries. The Shoppers Services link many Sheffield suburbs to the store and operate free-of-charge, five days a week. Linburg Operations Manager, Paul Major reported “Discussions had been on-going for a number of months with Tesco’s agents, but in the end we only had a couple of weeks to put everything in place for the March 10th start date. Our Fleet Engineer, Mark Toon, worked very hard to source additional vehicles and his team burnt the midnight-oil to put the vehicles through a rigorous pre-service Workshop and Bodyshop programme to ensure all passengers had a bus to catch on the first morning”. Paul added that bus and coach travel is one of the greenest modes of transport and went on to say “To be operating services that contribute to minimising traffic on Sheffield streets and maintain a vital link for shoppers is particularly pleasing. Hats-off to Tesco for taking the initiative and supporting these Services with extensive financial support; And not forgetting the team at South Yorkshire Passenger Transport Executive who have supported and advised us throughout the process”. For further information on the Services contact us! A new development in 2013 has seen Linburg form an operating alliance with Kuoni and Gullivers Travel Associates. Gullivers is part of the worldwide Travelport Group that contains twenty of the leading travel brands. Kuoni, founded in Switzerland in 1906 by Alfred Kuoni, has long been synonimous with high quality travel and brought that quality to the UK in 1965. Whilst there are many Coach Companies in the UK., Kuoni & GTA reported that finding those with sufficiently high standards of reliability and professionalism to be entrusted with their prestigious Incoming Tourist business was a problem. They turned to Linburg to help alleviate that difficulty. Linburg Director, Gill Dawson, was delighted to be able to sign-off a two-year Contract to provide coaches and drivers to carry tourists from around the World on tours of The British Isles for both Kuoni and GTA. 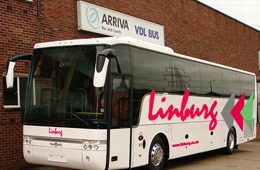 Gill announced in March 2013 that such was the importance of the new clients, that a further development of the coach fleet would see the delivery of another two high-quality, air-conditioned Van Hool tour-coaches from VDL-Van Hool coach concessionaires, Arriva Bus & Coach. “We have continued our standardisation on the VDL-Van Hool product. The quality is second-to-none and we like the green-credentials of the smooth and powerful “Euro 5” engines. In between commitments with Kuoni and GTA, these coaches will be available for hire as part of our Private hire Fleet from our Derby and Sheffield depots” added Gill. As the official Network Infrastructure Supporter for London 2012, Cisco Systems helped to deliver the most connected Games ever. This meant that Cisco’s network infrastructure underpinned the delivery of voice, video and data traffic for London 2012 over 94 sites with 1800 Wireless Access Points, 16500 IP telephones, 65000 active connections and 80000 Data Ports. Transport was required for 800,000 spectators & 55,000 athletes, officials and sponsors . 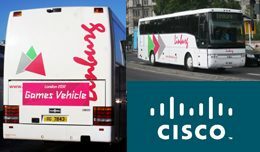 However, for the ground-transport of their most valued executives and guests between venues and hotels, Cisco relied on Linburg Coaches to make the connection, providing luxury coach transfers for up to twenty-two hours a day around, across and throughout the Capital City with a team of drivers, coaches and support staff stationed at Heathrow Airport ensuring Cisco succeeded in making even more Gold-Medal standard connections.